We have lightning fast shipping and in most cases if your order is received by 9 am CST Monday thru Thursday it will ship that day. 9 am CST for FedEx express. If we have a delay of more than 24 hrs we will call you personally to let you know. 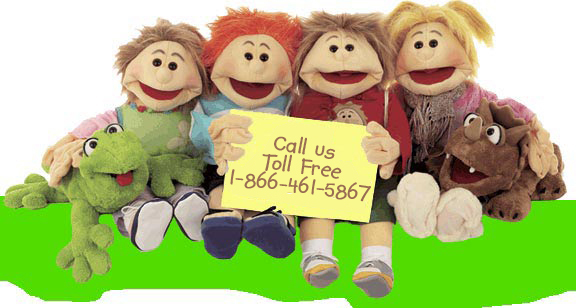 If you have questions about any of our puppets, marionettes, finger puppets, puppet skits, or puppet stages call our friendly staff and we will be happy to answer all of your questions. 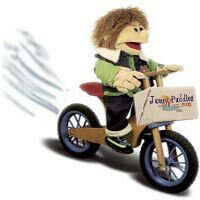 We stock over 5000 puppets and marionettes and personally pack all orders with the care we would expect if we were placing an order. If you prefer, we can process your transaction by phone. Call us at 1-866-461-5867.